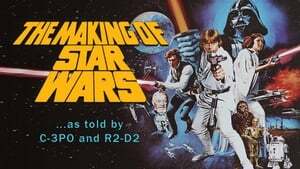 Ever wonder how they ever managed to make a movie like Star Wars? Well, bickering droid duo C-3PO and R2-D2 host this tour of the mind of creator George Lucas and what inspired him to make the movie. Even interviewed are the cast and crew, even features scenes of when C-3PO, R2-D2, and Darth Vader planted their footprints (or in R2's case, tread-prints) into cement. Also discussed is Star Wars mania, how fans loved the movie, collected the merchandise and danced the disco music. Also shown are behind-the-scenes looks at the movie, as well as how difficult each effect was in doing since they didn't have the convenience of computer animation back then.